My friend the writer and artist Gail Curry was mugged outside her shop and gallery in Whitley Bay and now stutters as a result of the ordeal. I was originally billed as her co-host for this event but we’ve decided to swap places on Tuesday night. I will speak Gail’s answers to questions she will pose as well as read her poems. 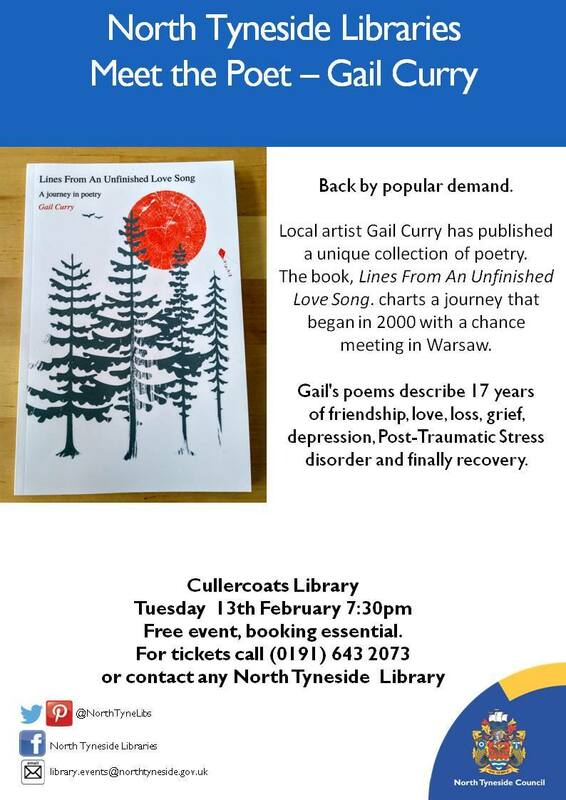 I think there’s still time to book a place for Lines from an Unfinished Love Song with Gail Curry at 7.30pm 13th February Cullercoats Library. For information contact (0191) 6432073 or any North Tyneside Library. Do you fancy sampling a creative Smörgåsbord next weekend? 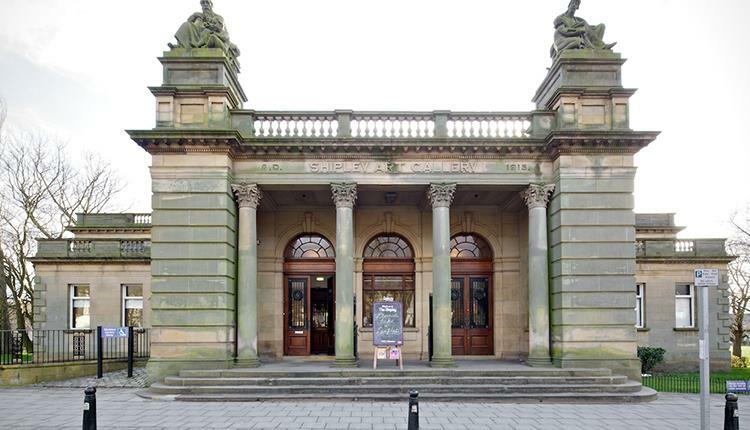 Then join me at the Shipley Art Gallery on Saturday 10th February for Express Yourself, a half day filled with workshops in collaboration with Gateshead writing group The Scribblers and the Shipley Art Gallery. 1.The Scribblers will be running taster writing sessions inspired by Trench Art and Memory. 2. I’ll be offering one to one “Dr Cusack” mentoring sessions on writing and performance. 3. The Shipley’s Ruth Sheldon will be showing you how to make chapbooks. 1pm – 2pm I’ll give a quick introduction about performance before a show and tell sessions where participants will share work written in the morning or any other short piece they’d like to perform. Particpants are asked to bring writing they might want to make into a chapbook plus work they want to share from 1pm to 2pm. We’ll have tea, coffee and water on offer but I suggest you bring a packed lunch as there’s no cafe in the gallery.